Prior to the launch of Dark Souls 3 for the PS4, Xbox One and PC, is the Dark Souls original comic being launched by Titan Comics. 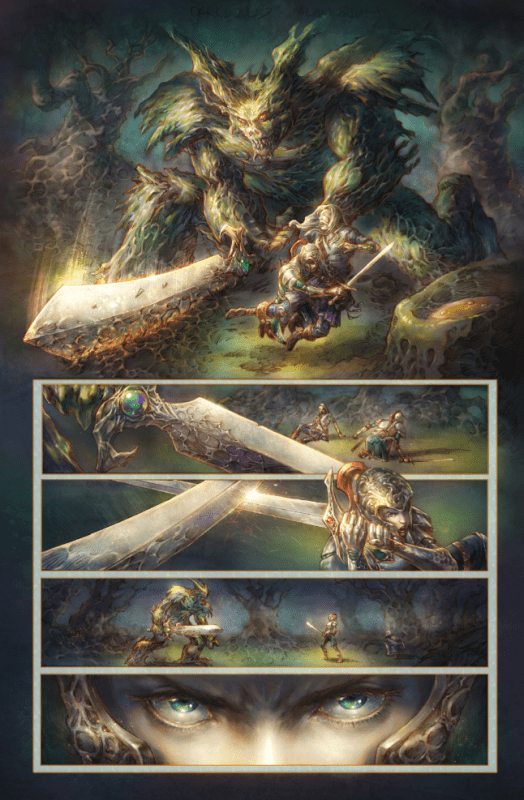 Penned by George Mann (Doctor Who) and drawn by Alan Quah (Orphan Black), the Dark Souls comic will for the first time, tell the tale of the Dark Souls universe in an original story. Set to release on April 6, 2016, the first issue of theDark Souls comic will be a 32-page issue and will retail for $3.99. A welcome addition to Dark Souls fans, such as my self and I can’t wait to get to read the entire series. And you have to admit, it would be breath of fresh air to get an actual story, instead of piecing together the story in-game and an original story would be very interesting. We’ve not sure on what angle they’re approaching with the comic or even which game they’ll be focusing on, or if they even focus on any content we’ve seen before. But for now, this sneak peak will have to do. Be sure to check out your local comic book shop to see if they’ll be carrying this comic and if not, bug the heck out of them until they do.